This card menu holder has two card holders and a slot in the center to hold menus. Storing your menus on the table is a great way to save your servers time and encourage up sells. This Card Menu Holder offers a efficient way to present your items. 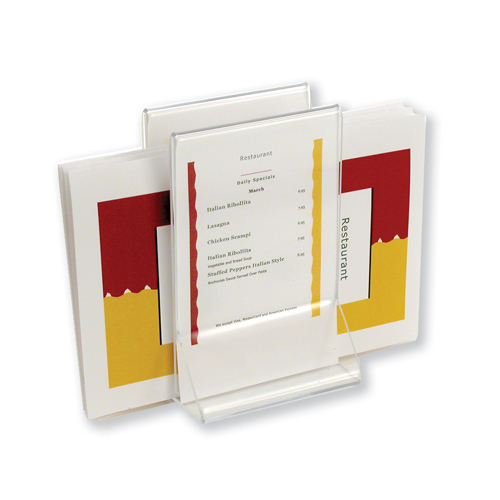 Made of clear Acrylic, this Countertop Countertop Sign Holder, Menu Holder is a great value. Buy Card Menu Holder now - Use our convenient shopping cart or give us a call and place your order with a knowledgeable service representative today!